Glasgow MSP Anne McTaggart has congratulated Glasgow Southside Member of Scottish Youth Parliament Kyle Thornton on winning the Make a Difference Award at the British Youth Council’s Youth on Board Awards. The awards are an exclusively youth-led rolling award scheme that recognises innovative and exciting youth participation – both from young people themselves and the projects and organisations that support them – throughout Britain. Kyle was recognised for his outstanding contribution to the Glasgow Youth Council, including securing over £1,000 for several different youth projects across the city. One project Kyle secured funding for was the Glasgow Youth Council’s Inspiring Glasgow event, which brought young Glaswegians together to tackle the negative perceptions of young people in the media. Kyle obtained a grant from Young Scot and the Co-operative Foundation’s Truth About Youth grant fund for the event. “I am delighted to congratulate Kyle on his Make a Difference award win. “Kyle has clearly contributed a great deal of his time and effort into the Glasgow Youth Council, developing and improving it for the benefit of all of Glasgow’s young people. “It’s fantastic that his work has been acknowledged on a UK wide level. 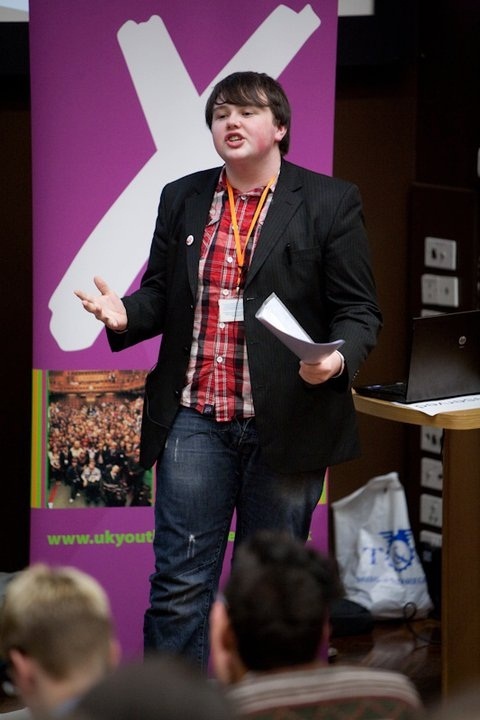 Kyle Thornton MSYP was thrilled that his hard work has been recognised on a UK wide scale. He attributes the Glasgow Youth Council’s achievements to the teamwork of its members. “It was a great surprise to get this kind of recognition from an MSP. “Everything we do is part of a team and I was glad that Anne’s motion reflected the fact that it was a team effort. Anne’s parliamentary motion can be viewed in full here.